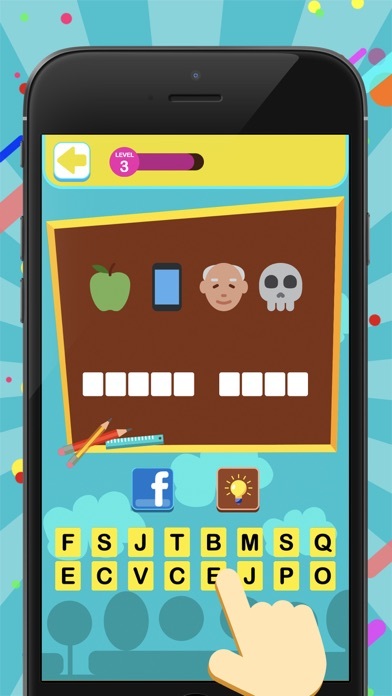 Guess The Emoji - Word Game is a fun trivia word game for both adults and kids. 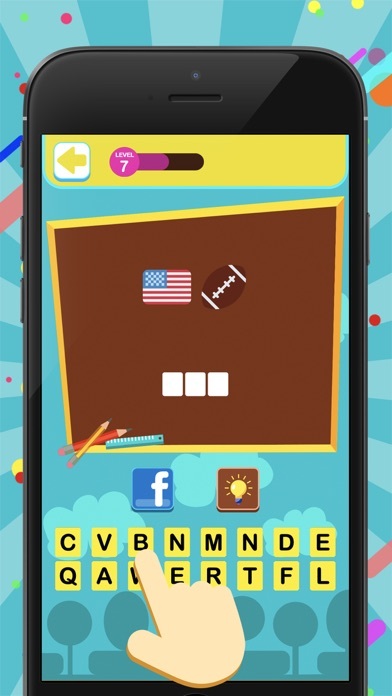 Looking for the best free word game to play alone with family & friends? Guess The Emoji and have fun playing word games by joining millions of players worldwide for free! 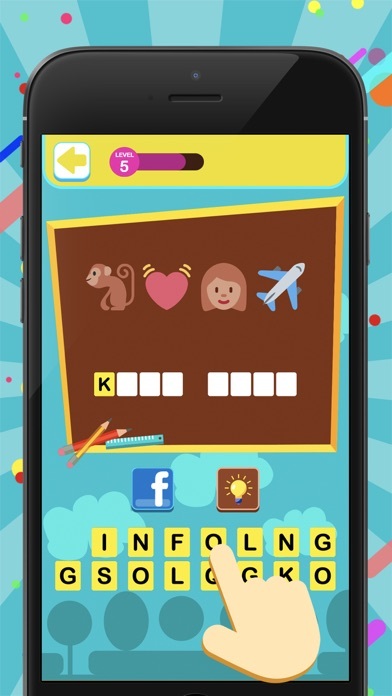 Guess The Emoji - Word Game is an addicting emoji game that will entertain you for hours when you are bored. Whenever you’re on the toilet, in the office, in the bed, or in the subway, you can guess the emoji, play guessing word games at any time, best time-killing word game you’ve ever have! Endlessly fun emoji guessing games test your logic and reasoning skills to solve simple (and sometimes hard!) emoji quiz! You'll be presented with a screen displaying emoji puzzles. 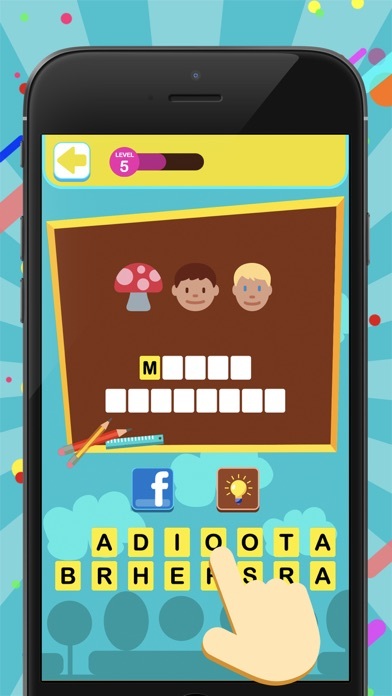 Can you guess all word games? 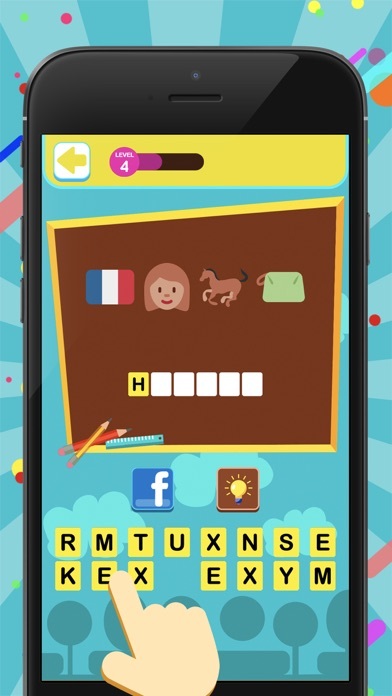 【Guess The Emoji Features】 # Easy to play, hard to put down # More than 1000 emoji games organized in tons of levels. # The more emoji puzzles you unlock, the harder the emoji games will be. # No registration, no complicated rules. Just guess the emoji meanings # Hints and Instant Solve, to help you always make progress, without getting stuck in any level # Family friendly, have a great time together by guessing The Emoji - Word Game # Ask your Facebook friends for help when get stuck in word games # Frequent emoji puzzles & word games updates 【Hints】 We have better ways to help you guess the emoji when you stuck on a hard emoji puzzle. Use hint wisely and save your time in Guess The Emoji - Word Game! # Expose A Letter: Using this hint will reveal a random letter in the emoji puzzle. Use this hint when you need an extra nudge to guess the emoji on a hard question! # Solve It: This hint will display the whole word directly! Use it if you’re really stuck in word games! Contact us For any feature request, complaint or new idea about Guess The Emoji - Word Game, feel free to write us at iosfeedback@mavericksmobile.com, or open our app and tap on the email button on menu to reach us. Please give us 5 stars on App Store if you enjoy Guess The Emoji - Word Game. Your support encourage us to do a better emoji game. Can't wait to play this addictive word game? Download Guess The Emoji - Word Game now and enjoy word games with various devices (iPhone and iPad)! It will be the best word game you’ve ever have!